There is a new way for you to connect with what's going on at TMP. Download the TMP app to easily register for events, watch our videos, give to TMP and more right from your phone. 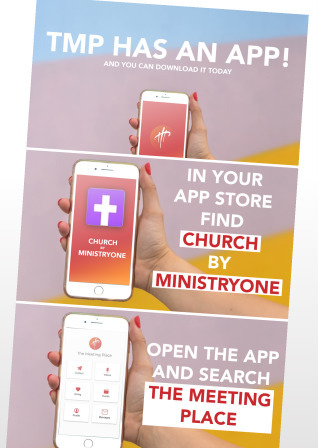 Search for "Church by MinistryOne" in the app store. When you open the app it will ask what church you want to make your home church. Search for "The Meeting Place Winnipeg".